My weekend was uneventful, but I was able to get in some much needed sleep after working twelve straight days! We started Making a Murderer on Netflex and I'm totally hooked! I know I'm late to the game on this one, but after Serial, I knew it would be perfect. I can't wait to watch the rest over the course of this week so I can fully gather my thoughts. Pat and I explored a bit of Cobble Hill and had an early lunch one day at Wilma Jean on Smith Street. It was sooo good. I had a fried chicken taco and he had a fried chicken burrito. I am still thinking about it! 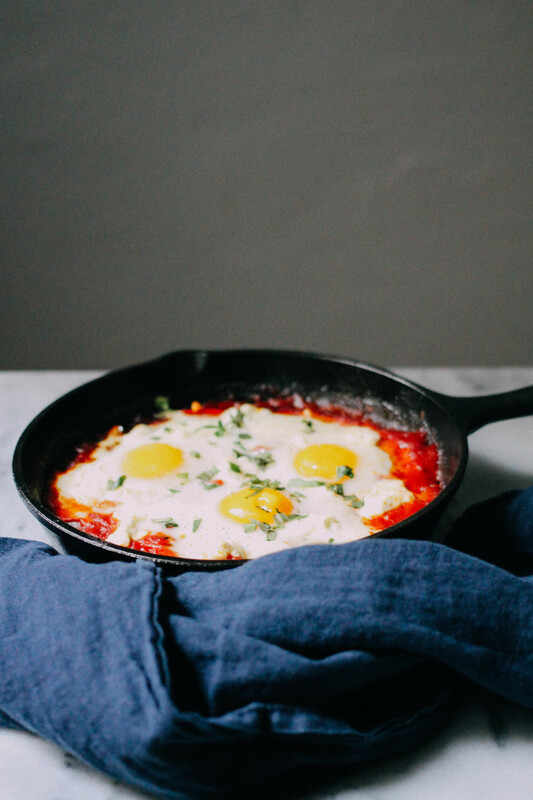 Speaking of brunch/lunch, one of my favorite things on a menu is Shakshuka. I had it for the first time at Tatte in Boston and have ordered it any time I see it on a menu. I love the spicy favors and it really hits all the right notes for me. 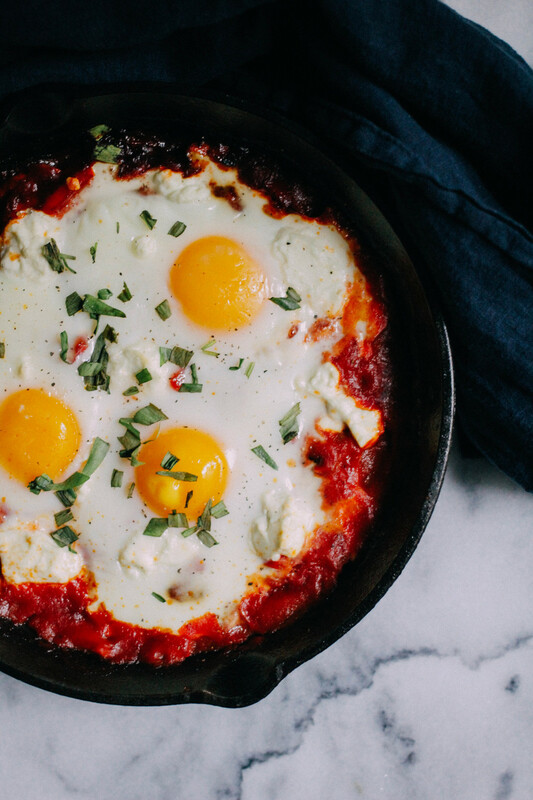 After seeing a recipe for Shakshuka in the New York Times the other week, I decided to try it for myself. I used the New York Times recipe as a base, but made some modifications. It was so delicious and I'll definitely be making it again. In a medium cast iron skillet, heat oil and garlic on low. Add in onion, bell pepper, and carrot until tender. Add in red pepper, black pepper, paprika, salt, and stir. Pour in crushed tomatoes and stir. Cook until the mixture is bubbling. Carefully crack eggs over the top of the mixture. Sprinkle goat cheese on top. Bake in oven for about 10 minutes, until the eggs have set but the yolks are still runny. Remove from oven and sprinkle with fresh basil. Enjoy!